With every flush, this toilet creates water and electric power for those who need it most. The "Nano Membrane Toilet," developed by a group at Britain's Cranfield University, received a grant during the second round of the Bill & Melinda Gates Foundation's Reinvent the Toilet Challenge. This self-contained waterless commode doesn't require power, and with 2.5 billion people globally who lack access to hygienic toilets, it could be a game changer. 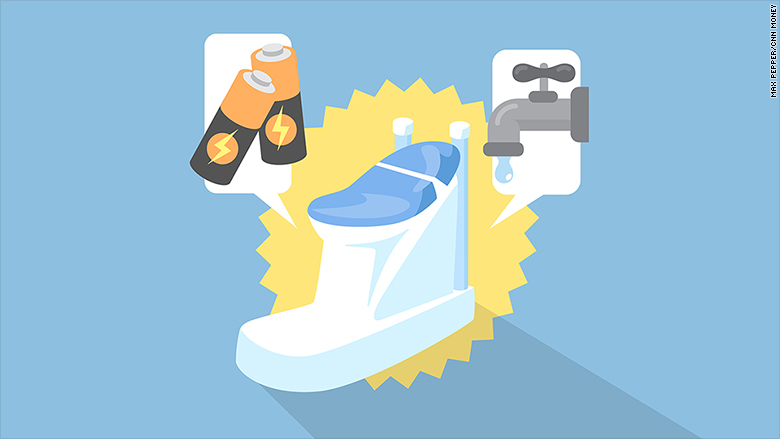 "It's an absolute tragedy that in 2016, billions of people still don't have a hygienic place to go to the toilet," Cranfield researcher Alison Parker told CNNMoney. "That presents such severe health, dignity and safety issues." Per the Gates Foundation's contest rules, the Nano Membrane Toilet doesn't use any water, power or sewer systems. Here's how it works: Waste collects at the bottom of the toilet bowl in a drum, and when the user closes the toilet's lid, the action causes the drum to rotate and empty the waste into a holding container. Solids settle to the bottom and liquid waste floats to the top, enabling them to be separated into different chambers for processing. Water from the waste is drawn through special hollow-fiber membranes as a vapor and is purified. Then, the purified vapor is re-condensed into water and stored in a tank at the front of the toilet for later collection by the user. The water is clean enough for tasks like garden irrigation and laundry. Separately, the de-watered solid waste at the bottom of the drum is carried up a channel by a screw-shaped pump. The waste is dried out and sent into a gasifier, where it's burned and turned into energy to power the water-treatment system -- with enough left over to charge small devices like mobile phones. "Charging phones is in high demand in some of the areas we're targeting, and it can be a nice side benefit to the main goal of a hygienic toilet," Parker said. While the team hasn't finalized the design, current prototypes look similar to a traditional toilet, albeit with a larger base in the front. The commode is designed for use in private households by 10 people daily, and it's aimed at areas that lack sewer infrastructure. Some residents of low-income urban areas may be "lucky" have access to public latrines, Parker said, but while latrines are better than no access, they are unhygienic and can be risky to use at night in high-crime areas. Small-scale user testing of the Nano Membrane Toilet will begin in the United Kingdom "in the next few months," Parker said, starting with members of her own team. Then the trials will move to Africa. 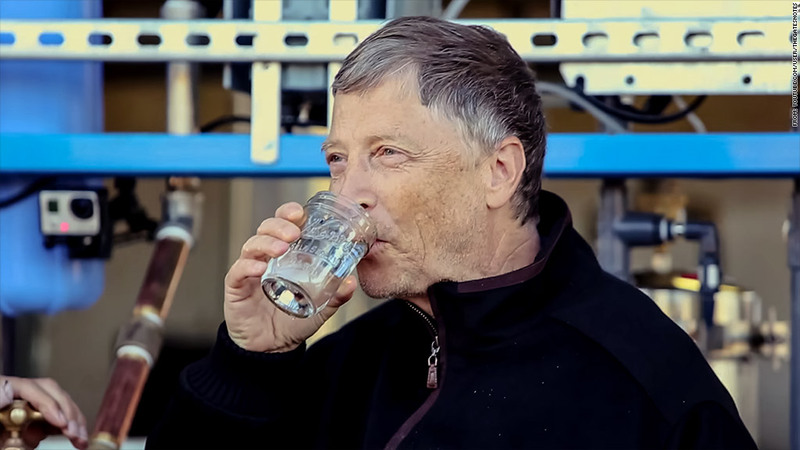 The Gates Foundation's cost target is five cents per use, Parker said, and the Cranfield team plans to develop a business model for users to rent the toilet with an included maintenance contract. Parker's team has built several prototype toilets in their lab using tools like 3-D printers and laser cutters, though they haven't yet focused on engineering for cost. "The most obvious alternative commercial use," floated by retailers in higher-income countries, is installing the toilets in safari camps, boats and rural vacation spots, Parker said. But the project's main goal remains improving conditions for the billions of people globally who desperately need a safe, clean place to use the toilet. "At the very least, people should have hygiene and they should have dignity," Parker said. "I hope our toilet can go a way toward addressing inequities and providing a better quality of life."